Dr. Irana Hawkins uses an interdisciplinary and whole systems approach to her scholarly work that focuses on the merits of an organic, whole foods, plant-based diet that is good for both human health and the health of the planet. Dr. Hawkins has authored several peer-reviewed publications related to pro-environmental behaviors, and is a Review Editor in Nutrition and Sustainability for the academic journal Frontiers in Nutrition. She is a faculty member in public health at Walden University; an instructor at the Osher Lifelong Learning Institute at the University of California Riverside; and a member of the Clinician Champions in Comprehensive Antibiotic Stewardship Collaborative, a national working group dedicated to saving the therapeutic value of antibiotics. Her work in dietetics has spanned from cancer care medicine to creating nutrition education programs in underserved communities. Dr. Hawkins has continuously worked to improve the natural environment and create healthier communities in her role as a Native Plant Steward, a Master Recycler/Composter, an elected official, and as a Registered Dietitian. "Promoting Biodiversity in Food Systems talks about sustainable food systems that means above all to talk about the right to food and the right to health, meaning talking about food in the direction of "cultivating" health. Talking about interventions aimed at supporting food systems that can guarantee "good" and safe food for all is undoubtedly a complex and articulated question also and above all for the multiplicity of actors with different --- and sometimes divergent -- goals (social, cultural, environmental, economic) that are integrated into these circuits. Science, research, knowledge, experience, awareness, sharing, sharing, collaboration, cooperation, cooperation, interdependence, transparency and accountability become so inalienable dimensions of that inclusive governance able to maximize synergies and "values", capable of overcoming fragmented or strained strategies by technical or economic dominants to come to the detection of truly fair solutions, with expected impacts, with expected impacts, to readily support that creation of ecosystem goods and services from which humanity depends on. And within this "unsustainable collision" that FAO Director-General José Graziano da Silva, a little less than a year ago, introduced the concept of agroecology as a counterproposal to Green Revolution : " ... World food production systems must become healthier and more sustainable and agroecology can contribute to such a transformation. The agroecology can offer several contributions to this process of transformation of our food systems. " It's in this scenario that you insert the book of Irana Hawkins, Registered Dietitian Nutritionist, Promoting Biodiversity in Food Systems, and it's for me a real honor and a great pleasure to present it in this Editorial. 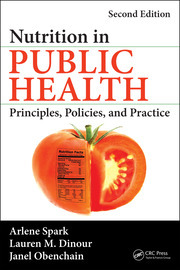 The volume underlines the need and urgency of a thorough reflection-including and above all within our professional practice -- on the food-to-health relationship -- health and, more extensively, on the conservation of biodiversity. 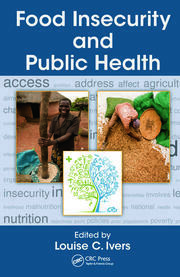 Stimulating and engaging the Chapter on "right to food" addressed both in terms of "Right to food" and "Entitlement to eat" in relation to the thesis developed by Nobel laureate Amartya Sen, according to which it would not be enough or insufficient food production to determine malnutrition and famine, but rather the overall economic situation involving families in the condition of malnutrition. 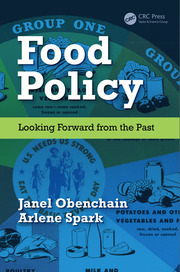 Equally well documented, in the chapter following, the relationship between food systems and food security. 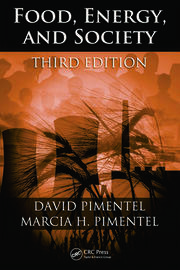 Deep and very well investigated by my colleague Angie Tagtow on the connection between the industrial food system and non-communicable chronic diseases, through a punctual analysis of the U.S. epidemiological data in terms of food consumption, dietary trends and chronic diseases, with a brief reference to the use of pesticides and other synthetic substances in agriculture. 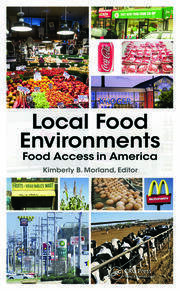 The Chapter is also enriched by a fundamental call to the Dietary Guidelines for Americans and the indispensable need to transact through a virtuous link between agricultural systems and health policies to support people and communities to have more control over their nutrition and their ability to navigate food systems. And again, measures to counter the loss of biodiversity, food waste, the preservation of seeds and seeds and, last but not least, a chapter dedicated to Culinary Literacy, to the knowledge and culinary skills of doctors and dieticians : culinary education offer an opportunity for health professional to be part of the solution In more, a chapter dedicated to children, their involvement in practical activities "from the field to the table" and the positive effects on their well-being and their ecoliteracy Thinking about the future of children is absolutely a responsibility of everyone -- present in one of the most authoritative and disseminated projects ANDID of food sustainability : Cucinando is learned. There are also extraordinary examples and good practices that can be applied and transferable in the professional reality in Italy. I recommend it ... good reading!" -By Stefania Vezzosi, Editor-in-Chief of ANDID Notizie—Journal of the Italian National Association of Dietitians. "Irana Hawkins, PhD, RDN, MPH, one of VN DPG’s accomplished members and a highly regarded thought leader, edited this thoroughly referenced and comprehensive journey into the world of biodiversity as it relates to food systems, health and our environment. The book is divided into two sections: the first, “Biodiversity Loss, Planetary Boundaries, Food Systems and Human Health,” paints a clear picture of the challenges we face, and the second, “Creating Biodiversity- Friendly, Sustainable Solutions,” details intentional actions. Dr. Hawkins wrote the first chapter that clearly defines the relationship between biodiversity, food and health, and sets the stage for the chapters that follow which were prepared by 37 total contributors. Those discussions span the topics of biological diversity, industrial agriculture and th iimpact on our soil, the role of disposable plastics, food sovereignty, justice and insecurity, as well as the connections among the industrialized food system, chronic disease, and biodiversity loss. The remaining chapters, and seven accompanying vignettes, delve into practical solutions, such as sustainable agriculture, veganic gardening, saving seeds, urban and regional planning, whole food plant-centered diet, redefining medical practice and lifestyle medicine, environmental stewardship and biodiversity-friendly policies in healthcare, and end with an incredible source of hope for the future, “The Smallest Sprouts: Engaging Children in Healthy Food Systems.” While there is a growing awareness of the unsustainable and problematic trajectory of our healthcare systems, food systems and natural environment, this text uniquely details the issues. The book is divided into two sections: the first, “Biodiversity Loss, Planetary Boundaries, Food Systems and Human Health,” paints a clear picture of the challenges we face, and the second, “Creating Biodiversity- Friendly, Sustainable Solutions,” details intentional actions. Dr. Hawkins wrote the first chapter that clearly defines the relationship between biodiversity, food and health, and sets the stage for the chapters that follow which were prepared by 37 total contributors. Those discussions span the topics of biological diversity, industrial agriculture and the impact on our soil, the role of disposable plastics, food sovereignty, justice and insecurity, as well as the connections among the industrialized food system, chronic disease, and biodiversity loss. The remaining chapters, and seven accompanying vignettes, delve into practical solutions, such as sustainable agriculture, veganic gardening, saving seeds, urban and regional planning, whole food plant-centered diet, redefining medical practice and lifestyle medicine, environmental stewardship and biodiversity-friendly policies in healthcare, and end with an incredible source of hope for the future, “The Smallest Sprouts: Engaging Children in Healthy Food Systems.” While there is a growing awareness of the unsustainable and problematic trajectory of our healthcare systems, food systems and natural environment, this text uniquely details the issues." 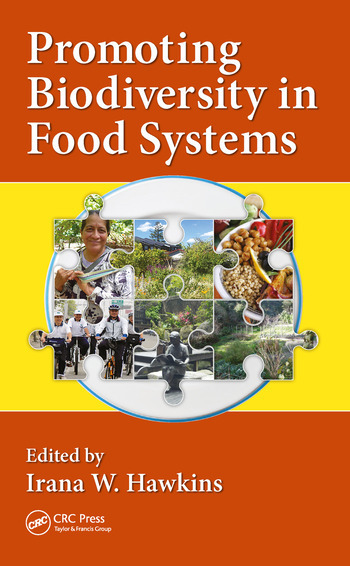 "Irana W. Hawkins, PhD, MPH, RDN, is the perfect editor for this important book on biodiversity’s role in food systems, health and well-being, and the natural environment. 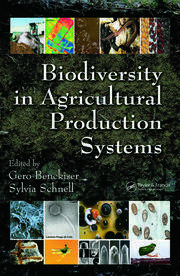 Promoting Biodiversity in Food Systems features contributions from 15 dietitian experts, but Hawkins authors chapter one. This chapter, "The Intersection of Biodiversity, Food, and Health," provides an overview for the entire text, introducing current challenges to biodiversity and the eco system. Though the book discusses the potential serious implications that arise from environmental damage and loss of biodiversity,the tone remains hopeful. Hawkins highlights the unique role of RDs in promoting biodiversity in food systems, including in foodservice, health care, urban planning, growing food, and educating their students and colleagues. Sections also cover the interconnectedness of food systems and food production with human health and the health of the natural environment. I like the book’s broad approach to this subject; it considers not only care of the natural environment and biodiversity but also public and individual human health and how food systems impact all of it. Readers will learn about the benefits of biodiversity promoting food systems and the role of national, regional, and global policies that support them. I especially enjoy the fact that the book is solutions oriented. The contributing authors offer a path forward chapter by chapter through food and food systems that improve both planetary and public health while promoting and preserving biodiversity. This text takes a "many pieces to the puzzle" approach, reminding readers that RDs can enact solutions in their professional practice as well as in their personal lives. Concrete steps are outlined on how to incorporate biodiversity-promoting food systems into practice. Overall, Promoting Biodiversity in Food Systems is empowering and well researched."